For the next month, I’m going to focus on Paul’s letter to the church in Philippi. Unlike many of his other letters, where there were serious issues within the church that Paul addresses, this is a friendly letter. Yes, there are some issues in Philippi, but Paul’s primary concern is to strengthen their friendship and to remind them that he’s doing well in spite of being locked up in jail. At the end of the letter, he thanks the Philippians for a gift they’d sent him through Epaphrodi, a member of their congregation. 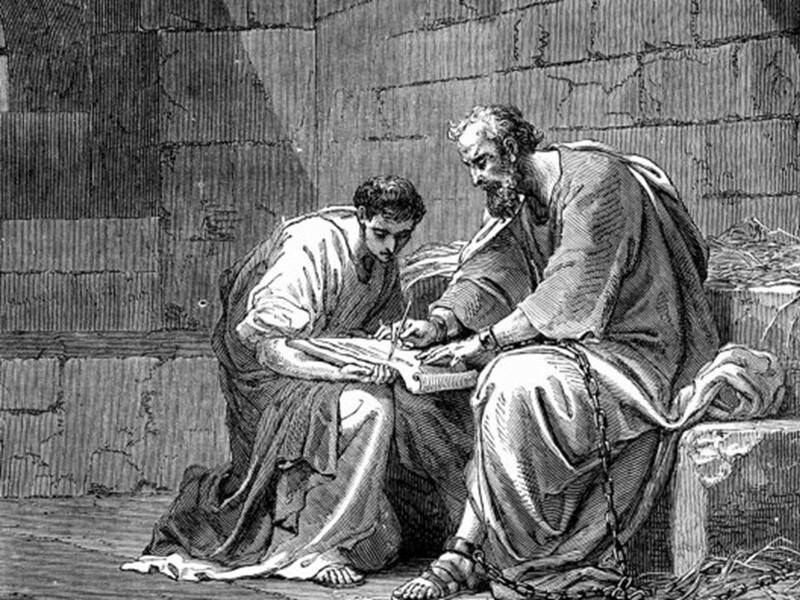 We can envision Paul, accompanied by his co-worker Timothy, penning a quick letter to give to Epaphrodi before he trekked back to Philippi. Without a postal service, he would have provided a means to promptly return thanks for the gift they’d sent. A few things about this letter. We’re not sure where or when it was written. We know from the letter, Paul was being held in a Roman city in which the Imperial Guard had an outpost. It has often been assumed this was Rome, but could have been in other cities like Caesarea or Ephesus. As for the date, it could have been written most anytime within the 50s and early 60s of the Common Era. Most of us, I’m sure, want to avoid prison and if we were locked up, we’d not very joyful. But prisons have been places where powerful statements have been made. Think of Nelson Mandela in South Africa, Martin Luther King in Birmingham, Alabama, and Detrick Bonhoeffer in Nazi Germany. In the civil rights struggle, some leaders even saw jail as a welcomed escape from the busyness of the struggle. 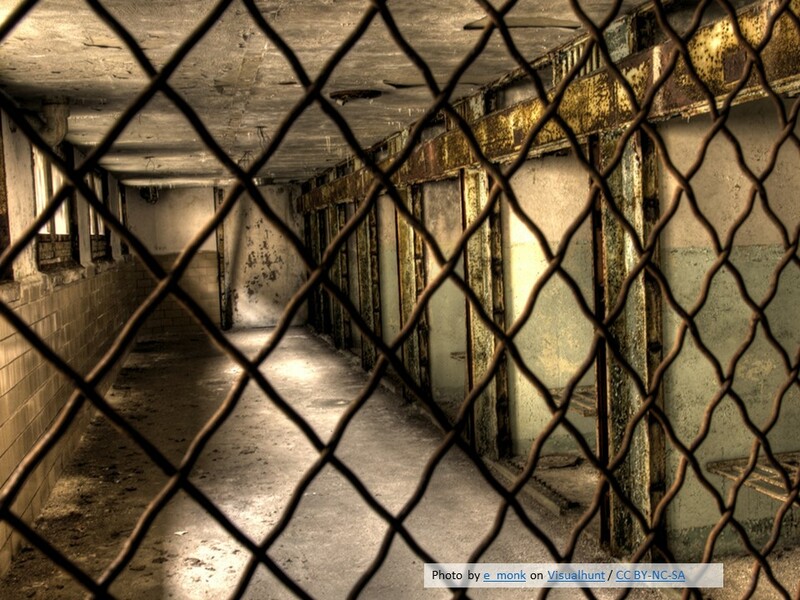 Behind bars, they had a chance to rest, catch their breath and collect their thoughts. From there, by letters, they could encourage their followers. Perhaps this was also true for Paul. This book within the New Testament has become known as “The Letter of Paul to the Philippians.” But take a look at the opening verse. It’s not just Paul, but Paul and Timothy. Paul, with his usual humility, puts himself and Timothy at the same level. They’re both servants and slaves of Jesus Christ. While this is a letter of friendship, it’s a friendship that’s sealed in Jesus Christ. However, the personal nature of the letter and the continual use of the first person pronoun makes it clear Paul is the primary author of the letter. 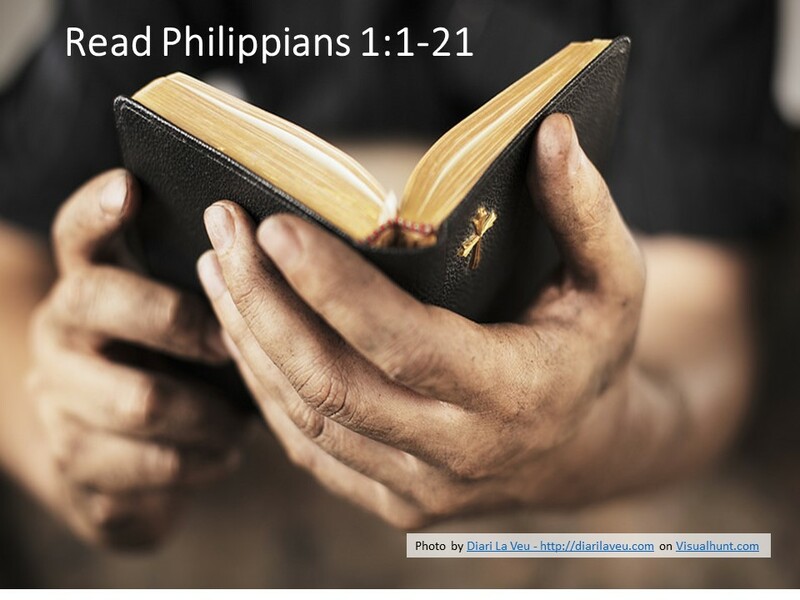 Philippians follows a traditional ancient form for letters. The opening lines tells us who’s being addressed within the letter, from whom the letter has come, and a greeting. In many of Paul’s other letters, he cites his credentials here. But with this letter, that’s not necessary. We wouldn’t write a letter to a spouse saying “I’m your husband or wife,” or to a child saying, “I’m your father,” or to a friend citing that I’m your friend, unless we were being very sarcastic or trying to make a cruel point. This letter is addressed to people Paul and Timothy know well. 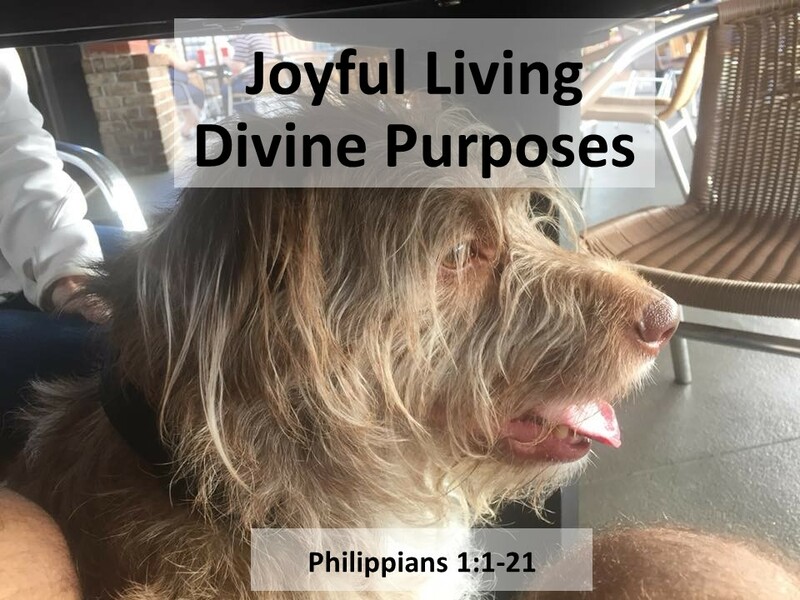 Although known to the Philippians, Paul doesn’t want the letter to focus only on himself so he greets his readers in the name of Jesus Christ. At its primary level, this is a letter about Jesus. After the opening salutation, Paul follows with a section of the letter that is a tradition for him. In every Pauline letter, with the exception of Galatians, Paul has an opening section where he offers Thanksgiving for those he’s addressing. 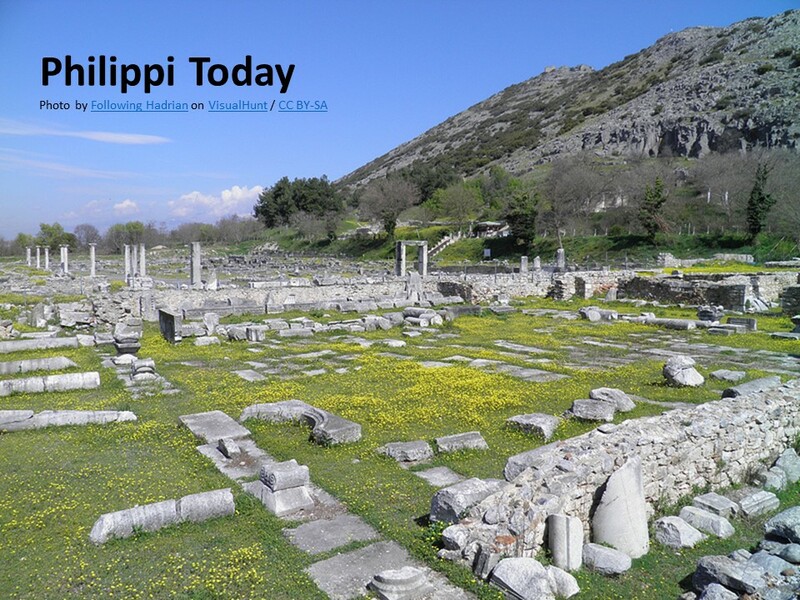 Paul is fond of the people in Philippi, noting that every time he thinks about them, he offers a prayer of thanksgiving. In this section of the letter, we learn more of Paul’s gratitude and affection for the Philippians. Again, as in his salutation, the focus is ultimately not on the author or recipient of the letter, but on the work of God in Jesus Christ in which they’re involved. Yes, Paul is thankful they have stuck with him, even while he’s imprisoned. After all, he spent his first night in jail in Philippi! So Paul being locked up isn’t anything new for them. Paul finishes this section of Thanksgiving, as he often does, with a prayer for those to whom the letter is addressed. The body of the letter begins with verse 12. Paul now addresses his situation. Instead of complaining about prison food or how the iron shackles are rubbing blisters on his ankles, Paul continues giving thanks. In fact, Paul now understands that his incarceration is having the opposite effect from what his enemies wanted. 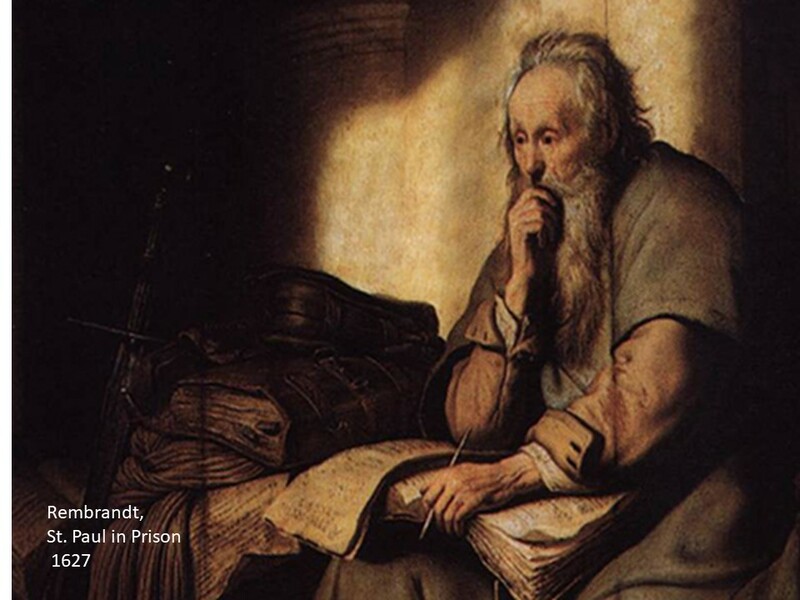 If they thought that locking Paul up was going to end his ministry, they were wrong. Instead, Paul now has an opportunity to preach and teach the Roman soldiers guarding him. And those believers who are near Paul witness the strength of his faith and therefore their faith is strengthened. Paul’s attitude, while in chains, is giving voice to others who are continuing the work of proclaiming Jesus Christ. We learn that there are two kind of preachers who are filling the gap following Paul’s arrest. There are some who desire the spotlight and may even be secretly glad that the Apostle is locked up. To them, it’s a competition. They’re not really doing ministry for the right reasons. They’re more like the Pharisee Jesus pointed to, who prayed loud and publicly. But there are others, coming behind Paul, who are motivated for the right reasons, out of love. Paul decides he’s not going to worry about the first group, and just be glad that those spotlight-grabbers are talking about Jesus. Of course, those in the second group, who love Jesus and want others to have what they have, warms Paul’s heart. 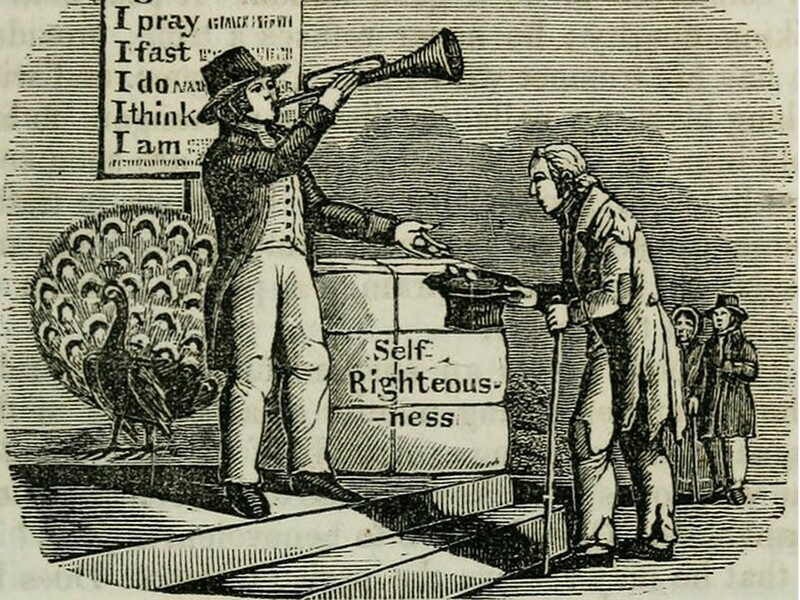 But because both are preaching Jesus Christ, God can use them both to further his work. Sometimes, especially in my profession, people think that everything is on their shoulders and forget that God can take even our failures and use them for his glory and edification. Paul is also at peace because he knows how things are going to turn out. God’s got this under control. Even while he is imprisoned because of his faith in Jesus Christ, Paul knows that the spread of the gospel isn’t up to him. It’s in God’s hands. God is going to make sure Jesus’s message is heard. Paul is so confident of his message that he is not worried if he lives or dies. If he lives, great, he can keep doing the work to which he’s been called. If he dies, great, he can be with Christ. 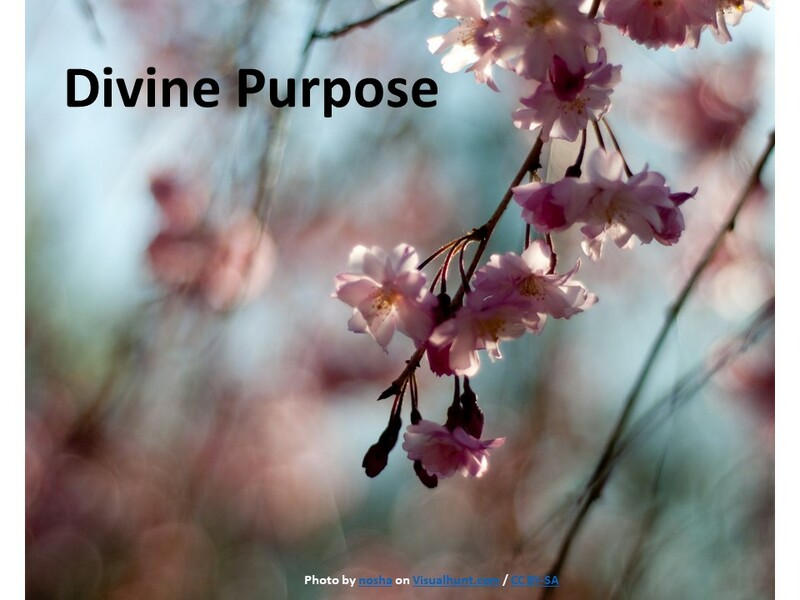 As followers of Jesus, we have a divine purpose. We are to be about seeking out and doing God’s will in the world. When we are jealous of others, it’s often because we are focused on ourselves and our own ego and not on what God wants us to be doing. God has given us each talents which are to be used in building up the kingdom. If we use them in purposeful way, we should be satisfied with and joyful in our work. We should also trust that God has called others to do the work of the kingdom. It takes all types. There’s an attitude that Paul expresses in this letter that I wish we could all embrace. Think about it. We get uptight. We often see ourselves in competition. We want to be better and to be seen as better, which can be a good motivator as long as we want to do the best for Jesus Christ. When we want to be the best for selfish reasons, so that we look good, so that we look better than them (whoever “they” are), we miss the point. God still might use us to do important work, but in our hearts, are we really concerned for others? We are to do what we can, as did Paul, but we must trust the future to God? A second thing we should learn from this passage is that God can even take our misfortunes and use them for a great glory. 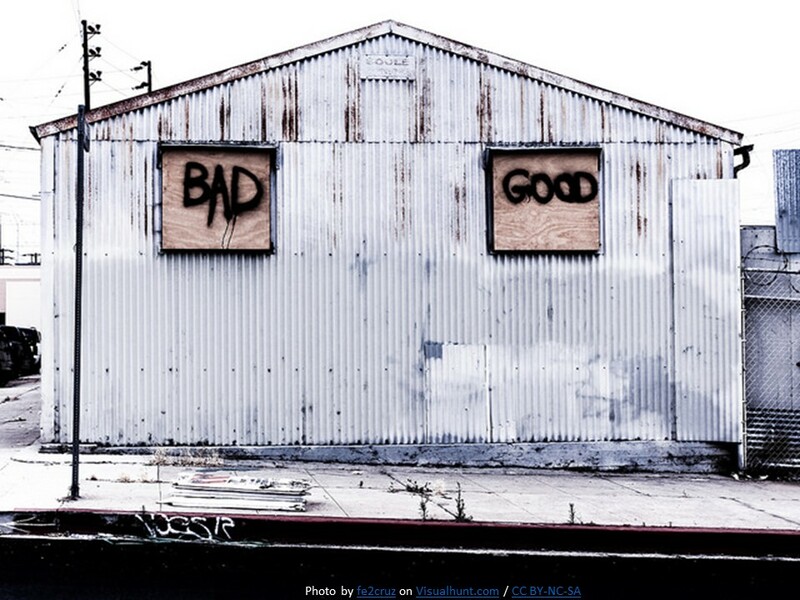 Bad can come from good. Hopefully none of us will ever experience prison for Jesus, and certainly not martyrdom, but in the course of human history those who have suffered so for their faith have been an inspiration. John Knox, the leader of the Protestant Reformation in Scotland, was fortified with zeal when his mentor, George Wishart, the man who led him to see the truth of Jesus Christ, was burned at the stake in St. Andrews. When others see that we hold true to our beliefs in Jesus, even when it means we suffer, we become a powerful testimony. As Paul states in this passage, even his guards are curious about this faith. They want to know why Paul is willing to suffer so for his beliefs. They listen to him with willing ears. God has a way of turning earthly misfortune into eternal treasure. Think about this in the context in which we live. We don’t have to worry about persecution or imprisonment, at least not yet in America. But when others who are not believers see that we are true to our faith and watch as we seek to live as Jesus’ disciples, we make a positive witness. When they see us being honest and truthful, willing for forgo short-term gains because it would force us to act in way contrary to our faith, we reflect Jesus’ face to the world. Consider your actions? 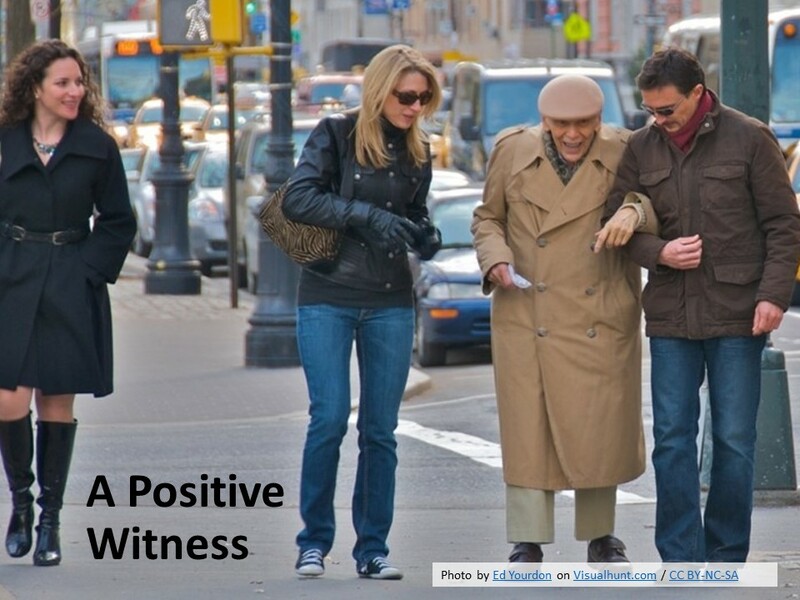 Do your deeds provide a good witness to Jesus? Think about your joy. Are you content with what God is doing through you to bring about a positive change in the world? Can you be happy, even when suffering, ‘cause you trust that God’s got this? We must live noble lives, be thankful for what Jesus Christ has done for us, and trust that God has called us to a divine purpose. If we do, believe, and trust, we can experience joy despite our situation. Amen. Gerald F. Hawthorne, Philippians: Word Biblical Commentary (Waco, TX: Word, 1983), xxxvi-xliv. Fred Craddock, Philippians: Interpretation, A Biblical Commentary for Preaching and Teaching (Atlanta: John Knox Press, 1985), 3. 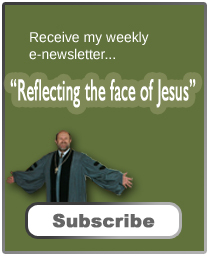 I am basing this series on an article in Reformed Worship.